You don't need to be a techie to keep your computer safe from threats and protect your personal information. Many of the ways to protect your computer are simple things that you can do without having to invest in any extra security programs. The following are a few simple ways to protect your computer that anyone can implement. The core purpose of an antivirus software is to protect your device and the data from malicious programs such as viruses and malware. Using a computer or a smartphone without an antivirus program is considered a crime. Users feel protected and safe. Recently, a team of internet security experts has warned that the antivirus programs are not doing a great job in protecting the data of the users. In fact, in most of the cases, an antivirus program can make your device and data more vulnerable. The Project Zero team at Google found some major issues in the Symantec and the Norton antivirus programs. The CERT has already issued a warning to the users, and the antivirus companies have been informed of these vulnerabilities but the damage has been done. Is it safe to use antivirus software? The question that the users are asking if it is safe to use malware programs? Most people don’t realize how vulnerable they are till they get locked out of their PC or have their money stolen. The first response is usually an Anti-Virus, but with 300,000 virus and malware everyday it’s unrealistic to expect that they can catch them all. Some even do more harm than good as most of these solutions automatically make potentially damaging changes to your PC and are highly dependent to their own ability to detect threats. How can anyone reasonably protect themselves nowadays? 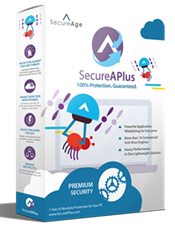 Try this free app I recently discovered called SecureAPlus and read on to get a "Free upgrade" to the Premium version (normally $22.50 per year) exclusively for our readers. Computers and internet is a big part of our social life today, as we increasingly use the online media we have greater chances to encounter security threats related to it. Facebook the leading social-networking website understands this security need well, and has launched an initiative to help user understand online security better. 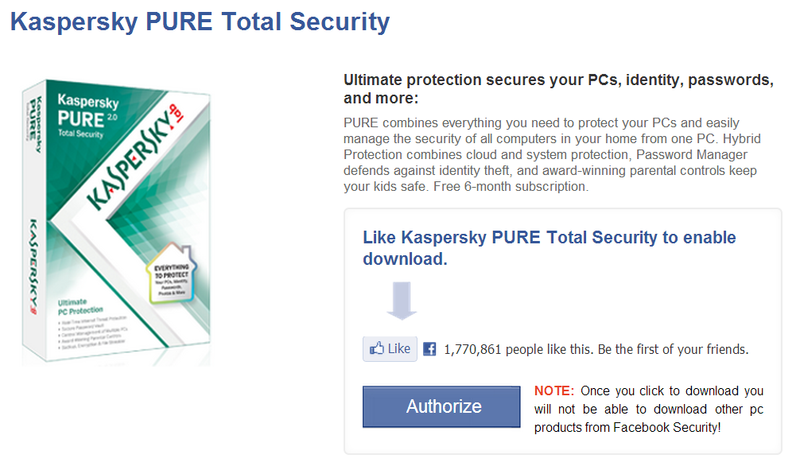 To safeguard users from online threats facebook is collaborating with major security software providers offering six month licences for users to products like Kaspersky Pure, Norton Antivirus, McAfee, AVG, Panda and many more for free - better, this lineup is not limited to PC only as security products for MAC and mobile are also provided free of cost. After providing the free Kingsoft PC Doctor utility, the company has now launched a new PC cloud security utility Kingsoft Antivirus 2012. Kingsoft Antivirus 2012 is a completely free antivirus solution for detecting and cleaning trojan viruses, and protect your computer with system defense K+ and boundary defense. 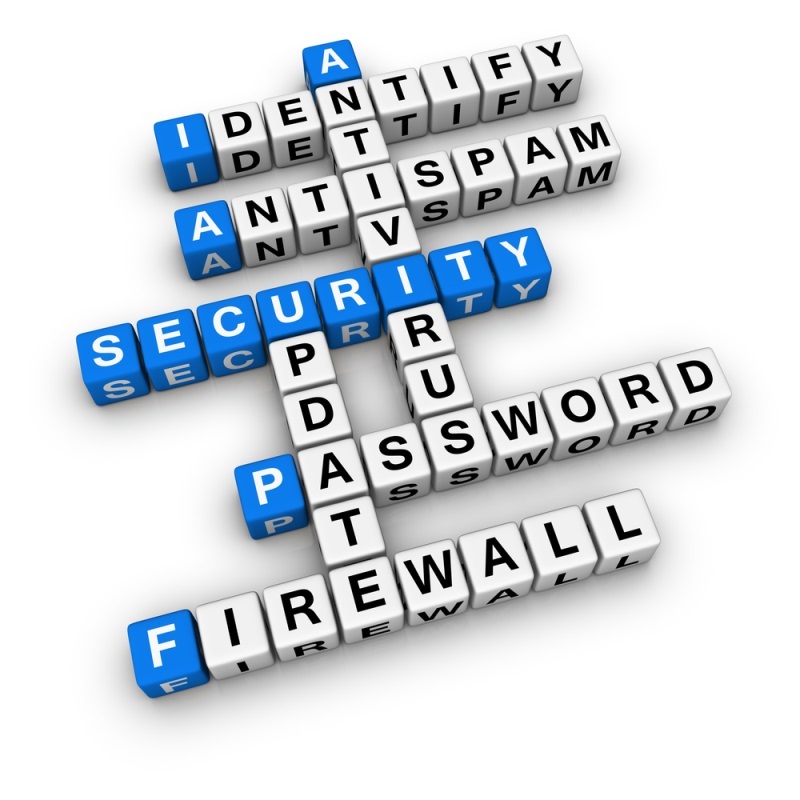 It can be a standalone product, and can also work along with other security software. Facebook popularity has also attracted quite a lot of unwanted security threats, from Facebook login stealer's to all kinds of spammers, scammers and many other privacy and security threats. 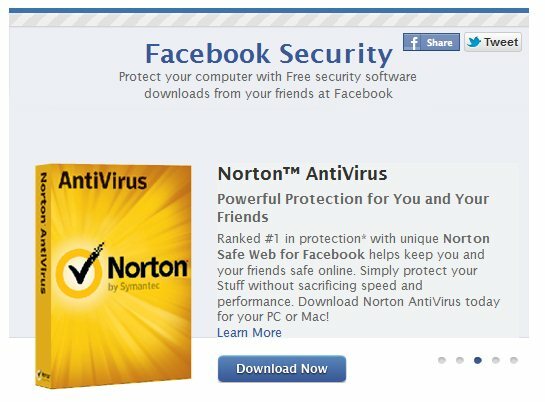 To control the situation Facebook has now teamed up with several leading antivirus software companies to launch an computer security awareness campaign and is also offering all users a free six month trial for Norton Antivirus, McAfee Internet Security, Microsoft Security Essentials, Trend Micro Internet Security and Sophos Antivirus For Mac. 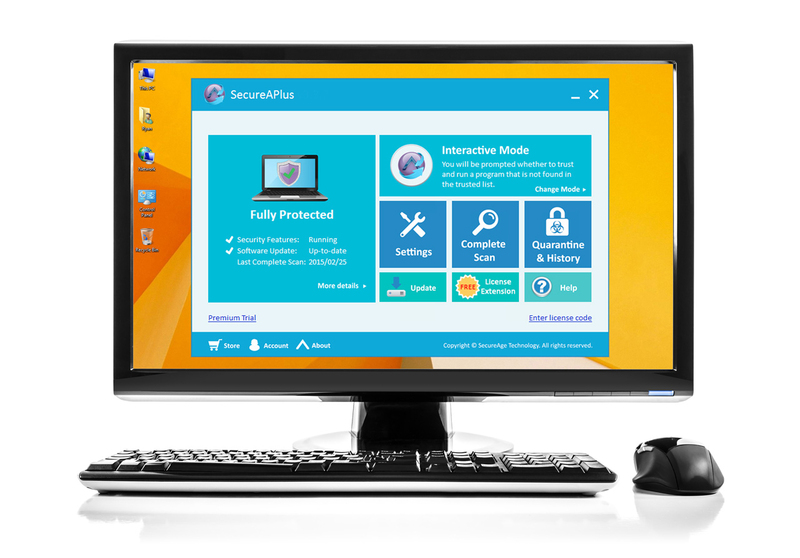 While Microsoft Security Essentials does a fairly good job of protecting your computer from PC-threats, when accompanied with free proactive protection like SafenSoft SysWatch Personal the result is a fortified PC without the need of any paid security software. SafenSoft SysWatch protection system preserves the integrity of your operating system with all its components and applications as installed at the original build. This protection system works by controlling how applications behave by keeping a record of your “known-good” computer state, preventing hacker attacks and malicious software from activating. Because SysWatch Personal does not need to identify individual threats in order to block them, it doesn’t need all those signature updates required by traditional security software to provide reliable protection. Featuring three core functionality of controlling the application launch process, application activity process and the self-protection system the addon offers fast and reliable protection even against unknown threats. Unknown applications are launched and activated only in a secure sand-boxed environment mode and authorized users can use the "Install Mode" to permanently store the new unknown application and changes made by it. SafenSoft SysWatch also features the handy digital certificate trust module which automatically unblocks installation of known white-listed applications having a valid digital signature (this seems to be a paid upgrade/other SafenSoft product feature as the same is not visible in free version but was infact shown in demo video). Please do keep in mind that SafenSoft SysWatch Personal do not fight the consequences of infection, but prevents it from happening - hence the pro-active defense for your computer. 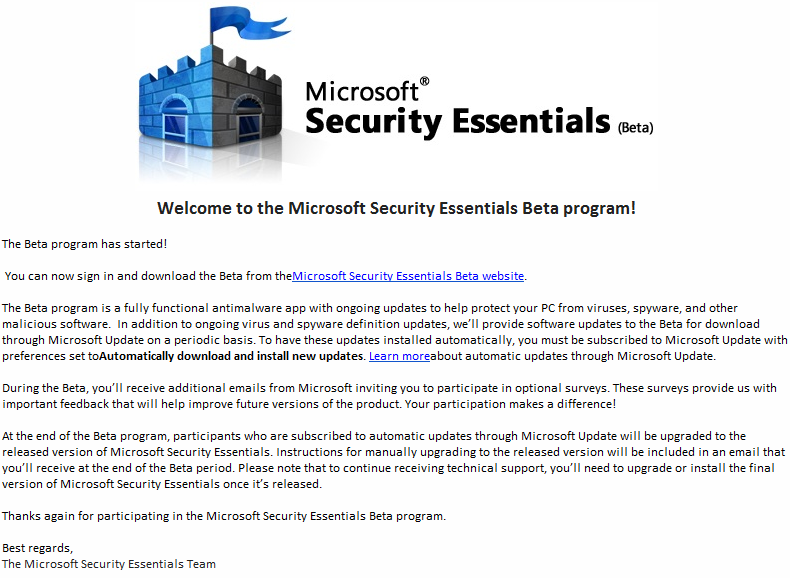 New Microsoft Security Essentials Beta 4.0 - Is this the upcoming free bulit-in Windows 8 antivirus ? Microsoft has been planning to ship an free built-in anti-malware solution with Windows 8, and it seems we already have the product up for selected few users under beta-testing phase. Microsoft® Security Essentials Beta provides users an fully functional antimalware application featuring regularly updated anti-malware database files for complete protection from viruses, spyware, and other types of malicious software's. More details and screen-shots after the jump. 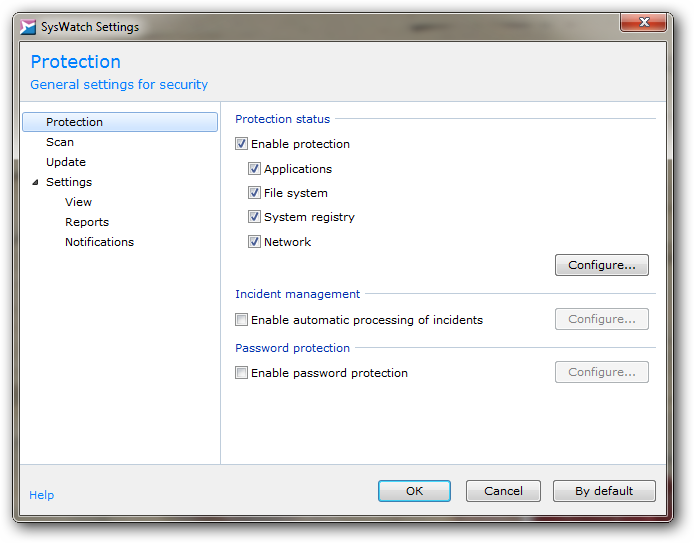 Read more about New Microsoft Security Essentials Beta 4.0 - Is this the upcoming free bulit-in Windows 8 antivirus ? Malware infections can sometimes block anti-malware utilities or even make the computer unbootable, Microsoft has now came up with a free "Standalone System Sweeper" utility enabling users to get rid of those nasty infections allowing them to perform offline scans to remove viruses, trojans and rootkits effectively. 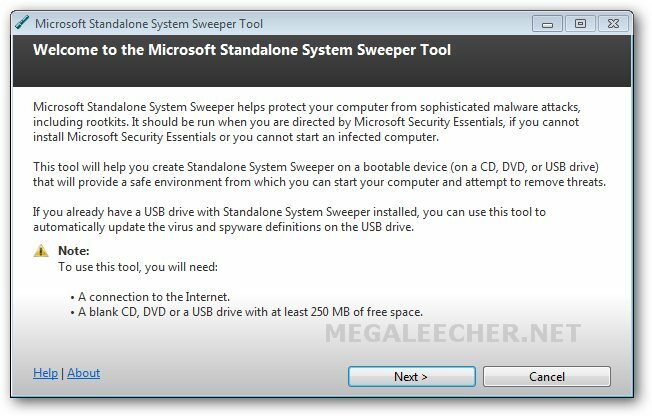 Microsoft Standalone System Sweeper allows users to download latest definitions and make a bootable CD, DVD, or USB stick which when booted from loads the Windows Preinstall Environment (Windows PE) to run the scan and clean infections.